My mother in-law, a fierce and fiery South African, has a gun and keeps it loaded and close to hand. This is the only sensible course in a country considered one of the most dangerous outside a war zone. But in the "new" South Africa, self-defense has become a crime against the state. President Thabo Mbeki has no patience with Western notions of "individualism." This Marxist has explicitly rejected what he calls the ideas of the Right: the paramountcy of private property and public order, and the remedial value of punitive justice. He has sworn renewed fealty to the paramount idea of the Left: the elevation of the state above the individual. Mbeki speaks of the Left's vaunted tolerance and respect for minorities, but one South African minority has been excluded: the nearly extinct white farmer. Well over 1,200 Boer Afrikaners have been butchered in more than 6,000 attacks since Mbeki's democratically elected African National Congress (ANC) took power in 1994. 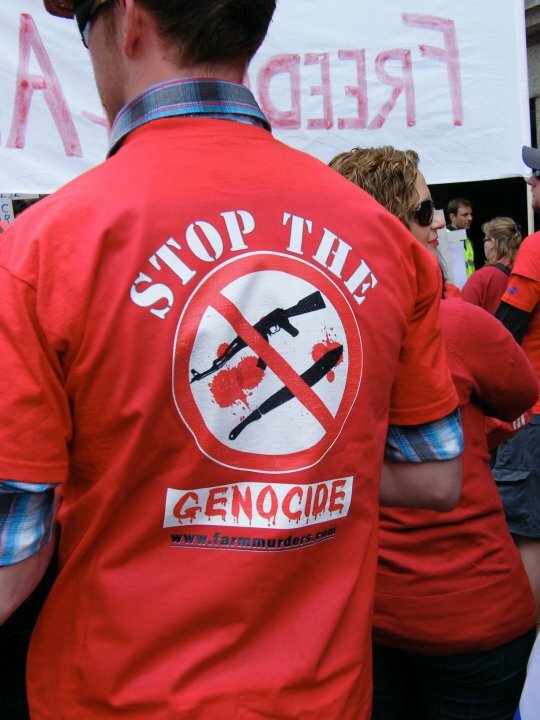 Despite the threat of systematic extermination, farmers are forbidden automatic weapons. So they must battle their ubiquitous assailants with only a shotgun, a handgun and a limited number of rounds at their disposal. In "free" South Africa there is an official blackout (or shall I say whiteout) of national crime statistics. When they are divulged, officials prefer to use difficult-to-understand ratios. In many instances, data have been doctored. Government sources claim there were 21,553 murders in 2002. The Mail & Guardian estimates that between January 2000 and March 2003 there were almost 48,000 murders in South Africa (population 44.6 million). In comparison, the "high crime" United States (population 288.2 million) suffered 16,110 murders in 2002. I used to rest easier knowing that if a thug entered the Western Cape home of my relatives (where the murder rate is a staggering 84 per 100,000, compared to 5.6 per 100,000 in the U.S.) my elderly mother in-law could easily dispatch him with her six-round .32 Special. It was comforting to know that in the unlikely event she required further firepower, my father-in-law could weigh in with his .38 Special. But that was the old South Africa. The ANC, like all leftist governments, is determined to disarm law-abiding individuals and criminalize their naturally just actions. As first reported in the Cape Times, the grotesquely mistitled Safety and Security Minister Charles Nqakula has unveiled "an arsenal of stricter gun-control laws." "Gun-toting cowboys" will no longer be tolerated and thus "non-threatening" home invaders will no longer face on-the-spot justice. In "liberated" South Africa, being a robber and being "non-threatening" are no longer mutually exclusive existential conditions. Should my in-laws awake to find a malefactor beating down the door, short of conversing in Xhosa to put him at ease, they shall have to hold their fire and attempt to ascertain his manifestly acquisitive – and almost certainly murderous – motives. "Molo Butte (Good morning, brother), your plans don't happen to include slitting my throat, do they?" The same rule now applies to "visitors" already in the house. If they greet your polite inquiries with gun or knife, well, perhaps you can say a prayer to Nelson Mandela. Safety and security in South Africa now means that self-defense may be defined as assault or murder. If the victim of a break-in shoots to kill, the intruder can kill him and claim justification. As Barry Ronge of the Sunday Times points out, this "effect[s] a switch that makes the victim of the crime the felon and turns the felon into the victim." In a country where, as Ronge notes, husbands and children are routinely forced to watch while mothers are raped, victims must now "calibrate the extent of the menace" before defending loved ones. Even for giving chase, victims may now be prosecuted as aggressors. And in a wicked sleight of hand, applicants for firearm licenses must now prove their need. "Being resident in South Africa," a spokesman for the opposition New National Party retorted, "is just the reason why any law-abiding citizen would require a gun." South Africa is, after all, a country where almost everyone knows someone who has been raped, robbed, hijacked, murdered or all of the above. It remains to be seen whether existing gun owners such as my in-laws will be exempted from reapplying every few years for a new license, which would require an "assessment" by the incompetent – often criminal – gangs that pose as policemen, or whether they will be forced to undergo "competency training." Of one thing we are certain. The right to defend one's life (even Hobbes was for it) and property are worthless in post-apartheid South Africa. Of course, a person's right to own a firearm is not contingent on whether he lives in a "safe" community. The right to self-defense, implicit in the right to life, belongs to every non-aggressor, imperiled or not. Natural rights are not subject to the vagaries of crime rates. Or, for that matter, to the whims of the state (or Rosie O'Donnell). Natural rights are not for governments to grant but to uphold. Despite being safely ensconced in a very low-crime American neighborhood, and after maneuvering through the labyrinthine bureaucracy, I shall soon be sleeping with a silver-plated, five-round .357 Magnum revolver by my side. I am grateful I no longer live in South Africa. Ilana Mercer is the author of "Broad Sides: One Woman’s Clash With A Corrupt Culture." She is an analyst and blogger-at-large for Free-Market News Network and a media fellow at the Jerusalem Institute for Market Studies, an independent, non-profit economic policy think tank. To learn more about her work, and to contribute to Barely A Blog, visit IlanaMercer.com.